We continue our series looking at Psalm 16 and ten steps in walking with God and growing in wisdom. 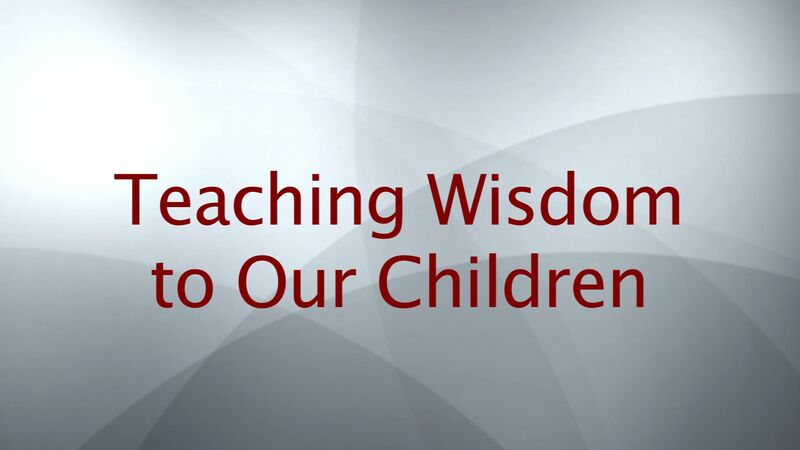 It is from our knowledge, understanding and experience in taking these steps in our own lives that we can Teach Wisdom to Our Children. In this article we focus on lessons learned in martial arts classes. Martial artists must learn how to stand straight and strong in order to move quickly from stance to stance and to execute powerful and effective defensive techniques. A fundamental truth in martial arts is that in all our movements we are rooted. We remain rooted to the ground and in balance as we execute and move from technique to technique. In the same way, Christian young people need to learn how to stand solidly for what’s right. Once we know how to stand in the paths of righteousness, we must not be moved. In all our movements we are rooted and grounded in Christ (at the Right Hand of God) and His Love. Where do we start learning to stand so we won’t be moved? It begins by understanding the Power and Majesty of Almighty God. Our faith and determination are strengthened as we consider the wondrous works of God. His creation of the world and space is truly amazing. It is a major theme of the praise songs of Israel. Christians of all ages will be strengthened to stand for God when they know the God they serve. Our God is not a weak god made of wood or metal. He is the Almighty God Who created the heavens and the earth! In that Truth we stand. Even as the earth God created cannot be moved from its position in the heavens by the will of man, so we cannot be moved in our commitment to Him. Standing in the knowledge of God is also the Christian’s song. The Apostles tell us of the importance of trusting God and standing in His Grace, Power and Faith. Standing is something Christians must do every day. We cannot let up for a moment because all of us are in spiritual battles. The enemy wants to defeat our minds, hearts and bodies. The enemy wants to pull us back into slavery. God wants us to enjoy the freedom we have in Christ and to stand boldly in it as we wage war with the enemy. The lesson of standing properly (proper stance) is one we will repeat in every class. It is also a spiritual message we should mention at every opportunity for the spiritual sake of our students.